Moving to a new office usually comes with serious pressure to relocate staff on tight budgets and even tighter timelines. It can be tough to choose a moving company to relocate all your belongings on time and without hidden costs. You can trust Williams Moving & Storage to make your job easier and take care of the move for you. Click here to get a free estimate on your corporate relocation or commercial move. We have a designated crew cleared by the RCMP and the federal government to handle sensitive or secured files. We also have designated installation crews certified to install the most elaborate and advanced office furniture systems. Our crews will take care of your systems, your furniture and your high-value items with care and attention, and our technical experts can dismantle and rebuild it all without creating any delay in your operations. We were the first Canadian moving company invited into the Commercial Relocation Network (CRN) a membership organization made up of the largest and most successful office and industrial relocation companies in the United States. Flexible Move is a program that Williams runs in partnership with United Van Lines for customers anywhere in Canada. We supply the equipment you need to perform the move. We will drop off the furniture containers when you are scheduled to load them and we will pick them up when you are finished. Then, we drop them off at your destination for you to unload when you are ready. Once your move is complete, we pick the containers up. 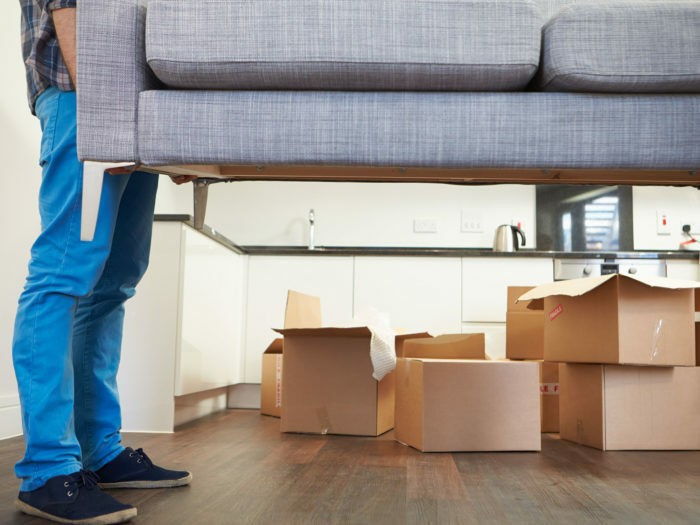 Moving can be risky business, but Williams Moving & Storage takes measures to ensure client safety and manages the risks inherent to moving safely. This includes maintaining our vehicles, tracking our drivers’ hours, responding to accidents, making repairs, managing our fleet and implementing our preventative maintenance program. Our crews of movers are trained professionals who are unionized with WCB coverage for your protection. Williams Moving & Storage is an origin agent that will confirm receipt of your request, contact your client within the same business day and provide you with the date and time of the survey as soon as contact is made. We provide client contact within 24 hours of receiving a request for Origin Survey, as well as a confirmation of date and time of survey to the booking agent. Survey results will be sent in 24 to 48 business hours after survey completion. We will confirm pack/load dates to client once authorization to proceed is received from the booking agent. Our professional crews will provide floor runners, padding of stair railings, removal of packing debris and final walk through to ensure all goods have been packed and/or removed.